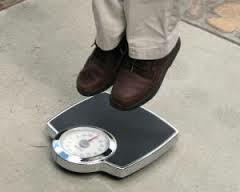 I wish I was weightless!!! Today is weigh in day and I think I had a 0.2kg less the weigh in for last week at 75.3kg today. I am not sure if that is a reasonable progress for, I hope I can record something positive for the coming week. I have slacked on bread eating and I am not happy about that. It is also impeding my weight loss progress, I eat it when I crave for it now and not on weekends as I earlier agreed to do. I have to caution myself and keep looking forward. What food have you identified to impede your progress?